As surfers sometimes it pays off if we go that extra mile. You know, just throw in a little bit of spice, or cold, or darkness to enhance your surfing life. We’re all for the pure and unadulterated act of chasing waves, but from time to time we have to mix it up, to take something additional from the art of sliding on liquid. 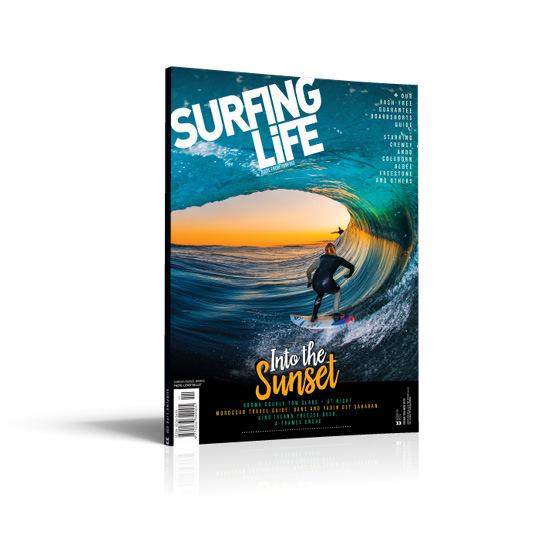 On the cover we’ve got 16-year-olds Leroy Bellet, photos, and Russel Bierke, surfing, who decided that double towing a South Coast slab was such a good idea that they’d do it at night. The results are spectacular, as the cover attests, and the full feature with interviews with the boys confirms this. 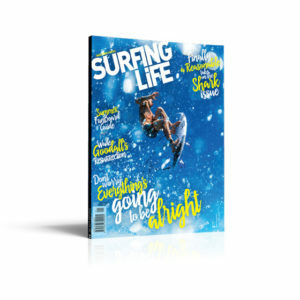 Enhancing your surfing life by doing it in a dangerous and tight space in the dark. Then we head to Morocco, on the edge of the Sahara, the Arab lands where the desert sun sets. This is where the Atlantic swells meet right points, where waves grind until your legs fall off, where goats live in trees and camels roam the beaches. We pulled together a definitive guide to surfing in Morocco and set it to photos of Dane Reynolds and Yadin Nichol going turkey-ham (the pig kind is hard to find ’round there). Enhancing your surfing life by doing it in a country that you mightn’t otherwise visit. Off we head to King Island, that little Bass Straight speck that houses more than its fair share of a-frame peaks. We saw a swell, sent a squad, and as they were packing mentioned that it would be the coldest day of the year down there. With temperatures dangling below zero, the boys scored big time, and while they couldn’t feel their faces, they felt the fun wave feels. Enhancing your surfing life by copping ice-cream headaches mid tube. The Goldy, where we’ve had a weak winter punctuated by brief moments of summery joy. Shieldsy was around to shoot Jack Freestone, Bobby Martinez, Noa Deane, Chippa and Bottle Thompson. Even in the middle of a winter starved of waves the Gold Coast still manages to look dreamy. Enhancing your surfing life by letting you follow Shieldsy around. We’ve got a little Tia Blanco interview, where she talks life, love, shredding and babeing. Enhancing your surfing life because Tia Blanco. Finally we’ve got the boardies guide to end all boardies guides. We don’t want to bore you with tech details, so we called your favourite surfers and asked them what they’re in this summer, as well as some advice for getting the attention of babes. 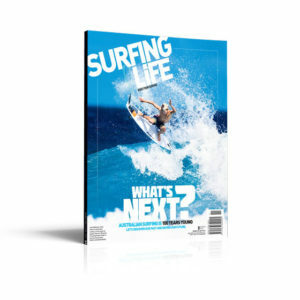 Jack Freestone, Craig Ando, Mitch Crews, Albee Layer, Louie Hynd, Mitch Coleborn, Bottle Thompson, Cam Richards and Soli Bailey tell all.